Grassroots Suicide Prevention: Be a ‘Tell Me’ Pledge Ambassador! 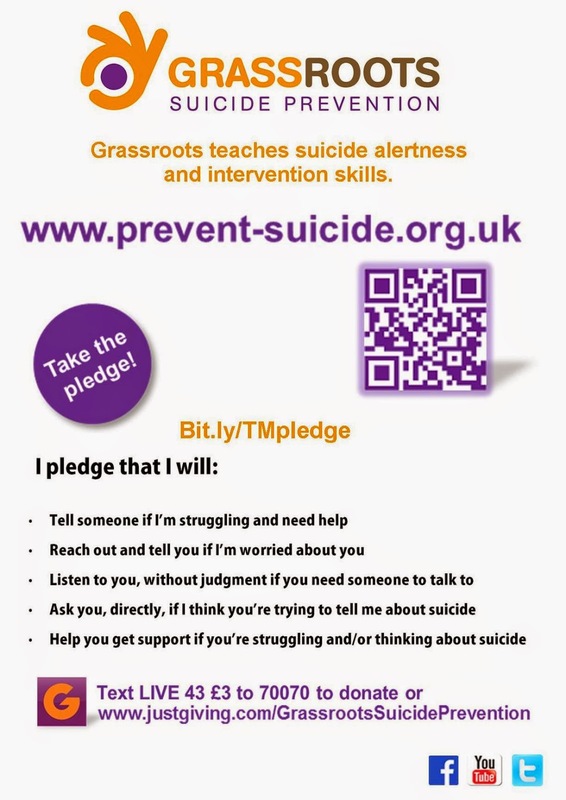 Our goal is to reach a minimum of 1% of the city’s (important: Brighton & Hove residents only) adult residents to have taken our Tell Me suicide prevention pledge by World Suicide Prevention Day 2015 (10th September). Currently we have 838 pledges signed Brighton & Hove and are on track to reach our target of approximately 2730. Become a Pledge Ambassador: Create a team name (be a creative as you like!) and all you need is twenty signed paper copies or twenty submissions online. We ask for all pledgers from within the same team, to write the same team name on the slip/ MailChimp online form (bit.ly/TMpledge ). This way it is easy to spot teams and count the pledges for each team. What we give you in return: You will get a virtual pledge badge (#Pledgeling) on our website, and an allocated 10 words to dedicate the pledge to a loved one or friend, or to share a message of hope. The Pledgeling may also be used for your own purposes and acknowledgements, (eg. For use on Facebook, your website or blog) therefore supporting your further efforts in suicide prevention and promote the pledge further. In memory of my dear friend, we miss you. Thanks for sharing this great article. Great information thanks a lot for the detailed article. That is very interesting I love reading and I am always searching for informative information like this.